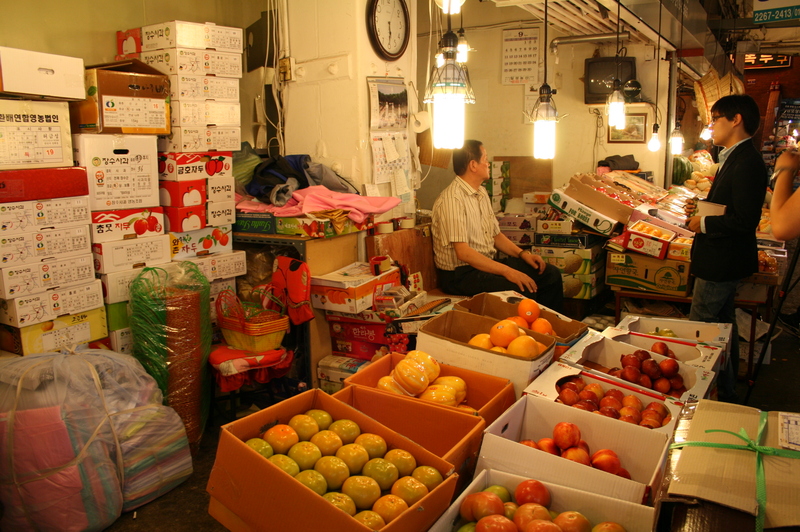 The name of Kwangjang Market is from the meaning of "Keep after collecting widely." In July 1905, Chosun Merchants established Kwangjang Corporation. A decade-old store has always smelled a pungent smell. This is another pleasure to encourage stepping into the marketplace because there is full of favorite menu including Panfried food, pigs’ feet and Sundae at the market street. In the evening, people are always bustling in the korean pancakes shop, which is cheap and friendly also, goes after a lively until late. As the lifestyle has become westernized, traditional rituals have been forgotten, but Kwangjang market is still continuing its tradition. There are a lot of places selling Korean clothes, pyebaek food and winding sheet for taditional ceremony. In the case of Hanbok, you can also find a shop for the first birthday party Hanbok, morden Hanbok, accessories and shoes which is used with Hanbok. The shop of cloth, blanket and pyebaek food necessary for wedding have kept their place for decades. This is Korean tradition alive market beacuse many of them still sell only high-quality fruits and goods for wedding ceremonies. 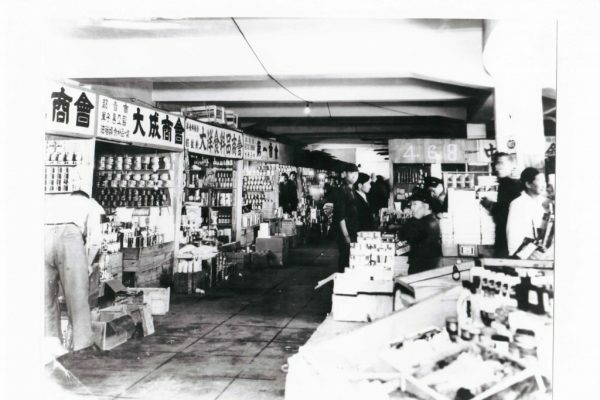 After the destruction of part of the market during the Korean War, it became active again when the refugees traded daily necessities and munitions. This was the beginning of the Korean imported vitage market. 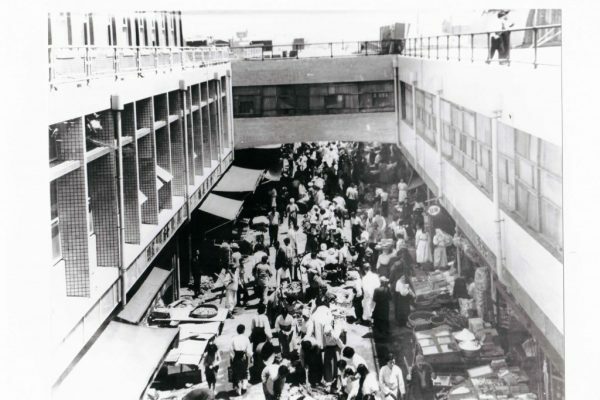 After the curfew was lifted in 1983, Dongdaemun market became a street of fashion with a major shopping mall. 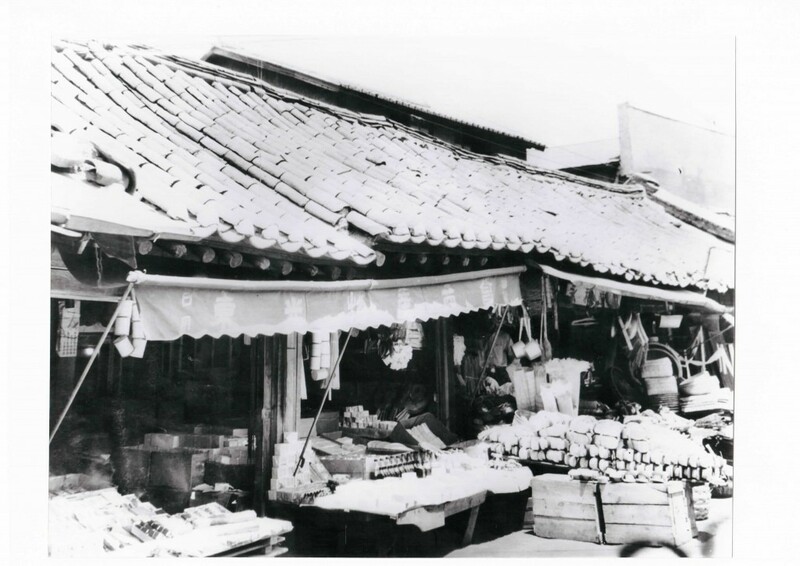 On the other hand, Kwangjang market was perceived to be composed mainly of wedding related products such as Hanbok and bedclothes. 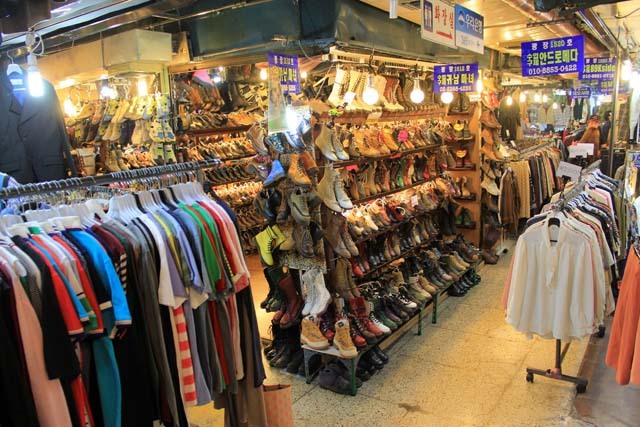 Imported vintage stores of Kwangjang market is popluar with second hand fashion with uinique fashion items and became a paradise of a vintage fashion which utilized an old and worn feeling that can not be tasted in a ready-made product. Owners who are over 60 years old or in their early 20s are the best experts from jeans to leather jackets, shirts, bags and shoes. Located in the Jongno 4-ga and Yejim-dong areas, Beoge( Pear Hill) market was one of the three major markets in the late Chosun Dynasty. 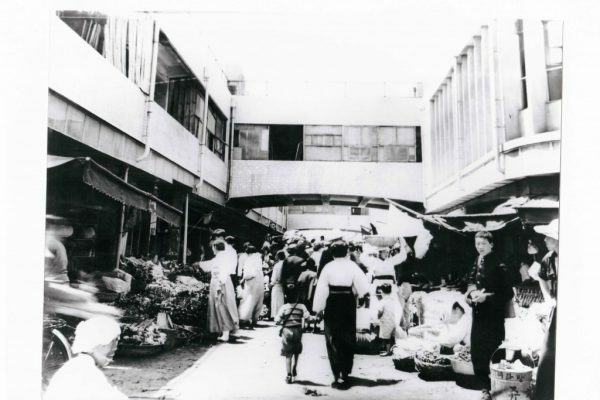 It was named as “Dongdaemun Market” in 1905 when it was granted permission to open the market at Ministry of Hansung, but it became “Kwangjang Market” after 1960s. Originally, they wanted to make market after rebuilding the bridge Kwanggyo(a big bridge) and Janggyo(a long bridge) and named it “Kwangjang Market” with each first letter. However, at that time, the civil engineering technology failed to withstand the heavy rain, and it establish the foundation at Beoge. After that, it became the current ‘Kwangjang Market’which is same Hangul pronunciation but new meaning of ‘keep after collecting widely’. 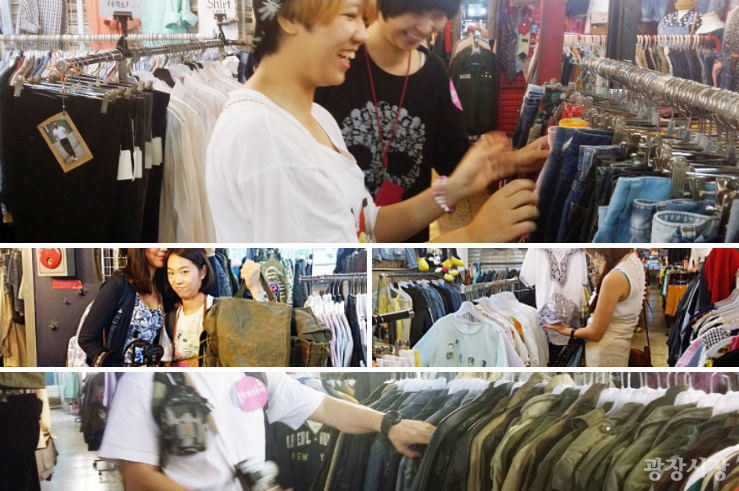 The first permanent market with 100 years of tradition in Korea. In 1905, when the Japan carried out the monetary restructuring project and disturbed the base of the Korean merchant, the Chosun merchants established Kwangjang corporation in July of that year. Unlike other markets where Japanese people have their control, Dongdaemun market, which was operated by Kwangjang corporation, survived in the Korean market based on pure Chosun capital.